Bernard Alois Raupp. Courtesy of Raupp Memorial Museum, Buffalo Grove, Illinois. [S11] John J. Weidner, Compiled Birth, Death, 322, 393, 421. [S11] John J. Weidner, Compiled Birth, Death, 322, 393. 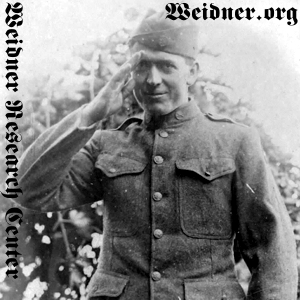 [S11] John J. Weidner, Compiled Birth, Death, 393 date only. [S405] The Cemetery Committee, Vernon Township Cemetery Inscriptions, Lake County, Illinois, 97 location only. [S11] John J. Weidner, Compiled Birth, Death, 423. [S1414] Daily Herald, 22 Jun 2011. [S11] John J. Weidner, Compiled Birth, Death, 443. [S11] John J. Weidner, Compiled Birth, Death, 401.